CHENGDU — Southwestern China’s city of Chengdu is expected to run 1,000 cargo trains to Europe in 2017, more than double the number last year, the Chengdu International Railway Services Company said on Feb 20. Chengdu, capital of Southwest China’s Sichuan province, ran 460 cargo trains to cities in Poland, the Netherlands and Germany last year — more than any other Chinese city. Chengdu delivered a total of 73,000 tonnes of goods worth $1.56 billion in 2016 globally. The southwestern hub has planned three major rail line services to Europe, with a middle route to Germany, Poland and the Netherlands, a southern route to Turkey and beyond, and another northern route to Russia. This year, new routes linking Chengdu to Istanbul and Moscow will be officially launched, company chairman Fan Jun told Xinhua. Fan said trains to Istanbul and Moscow would take about 16 days and 10 days, with each route planning to operate 200 and 150 trains in 2017, respectively. 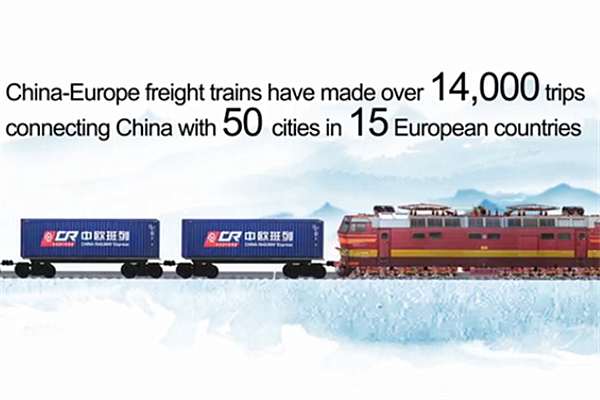 Demand for rail cargo service between China and Europe, an alternative to slower and riskier sea freight and much costlier air cargo, has exploded in recent years. By June 2016, trains had made nearly 2,000 trips between 25 Chinese cities and Europe, with a total import and export value of $17 billion.